For many years now the notion of “the Ascension” has been shared among different groups. Yet, there is not necessarily one uniform understanding of this concept. Different individuals and groups see the notion of “Ascension” through their own experiences, expectations and filters. As a generalized understanding –– about evolution, about raising consciousness or within certain religious frameworks –– the idea of “Ascension” can legitimately mean many different things. When we speak of the Ascension we are not just speaking of a shift in the collective consciousness of humanity. Humanity and our planet Earth –– Gaia, as a sentient being –– are one body and will ascend together. So the Ascension, in our understanding, is more than humanity’s collective consciousness ascending to the 5th dimension. At some point a river of Mercy can open a gate, inviting Gaia and humanity to travel together through a dimensional portal into a new frequency band. This movement is also part of a larger galactic realignment. 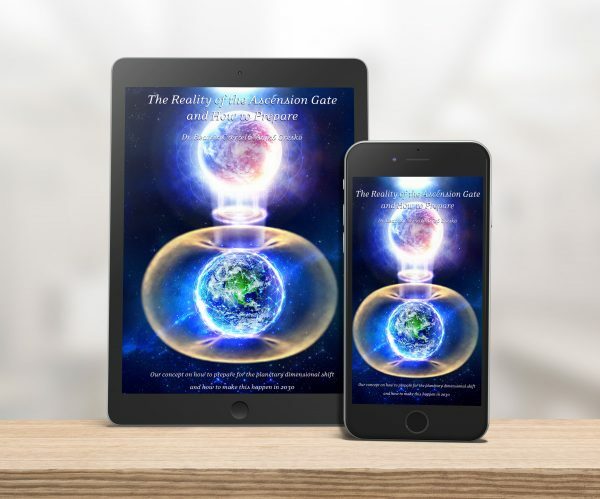 In this document we focus on the time period between March 21, 1887 up to the present and near future and we share the outplay of the intimate relationship between the collective consciousness of Earth’s humanity and the higher guiding forces. On that March date a conscious initiative came forth – a high level of the collective human consciousness beseeched the Galactic Council with an immense wish and collective desire. They/We asked that there be a plan to create an alternate strong Fate Line and possibility for the survival of the Earth. They/We wanted to develop a plan to counter a strong Fate Line for an Apocalyptic end that was drawn into Earth’s morphogenetic field and Akashic Records. They/We did not want to walk the same path of destruction that had been experienced on Venus, Mars and Maldek. The Galactic Council and Lightworkers from Higher realms responded to this cry out from the collective with a huge and monumental plan that has been working out ever since. With the Harmonic Convergence of August 17, 1987 the Ascension fate alternative was more firmly anchored as a possibility. By 1999 we were shown that there were different spiritual communities forming Temples of Light all over the world that had congregated to work towards the Ascension. These Temples tower like columns of light; they are bridges leaning across, connecting the “visible” and the “invisible” worlds. We see them as ship building stilts in the great star saturated ethereal ocean in the sky. The “Great Ark” will be prepared upon these columns of light. This “Ark” is the boat of committed souls who will lift our third dimensional world across the 4th dimension and into the realm of the 5th dimension through the cosmic process of the Ascension. The Divine Plan has been structured towards opening the Gate –– the opportunity –– at several different intervals, the first being 2012, which humanity did not meet. The Divine Plan was again restructured to guide humanity towards creating an opportunity in 2021. Again the consciousness and cooperation necessary to reach a tipping point does not seem to be on schedule and the Divine plan has been restructured in 2017 with the possibility of a Gate hopefully occurring in 2030. All our living now needs to be used as training for being the strong and resolute “guidewires” that can “steer the ship” of the planet, ourselves, and the people we are entrusted with through this dimensional portal. With great love and no recrimination, the Plan has been recast each time in recognition of what humanity has been able to do (and not do) in response to each prognosticated Divine Plan. It is our hope that when you read what is required and what to expect for the actual Planetary Ascension process it will more fully awaken the memory of an incarnational commitment you have made as an Emissary of Light working for the Ascension. There is an escalating sense of urgency now as Gaia’s body –– which is our body as well –– becomes increasingly burdened by humanity’s actions. Let us be the true hearted Emissaries of Light who can serve and create together the big dream and fate alternative of the Ascension and planetary dimensional shift! Thank you for sharing this announcement in advance! What Happens to the Ones That Do Not Choose the Path of Ascension? PLEASE NOTE, that the fulfillment of your order might take 1-3 days.